However, each one of us knows, also, how limited we are in encompassing our prayer. Sometimes, because the vision of our heart holds every thing and event, and the past, present and the future too in front of us, and we, full of love for it all, present it before our God, asking that all be different. Other times our vision is reduced to our earthly and temporal needs, like our shortage of money, our difficulties with our husband, wife, children, our health, our success or failure in prosperity, etc., etc. Is that how we shall lift our mind and heart to God? So, we have a problem, we do not know how to pray. “…when you pray, go into your room, and when you have shut your door, pray to your Father who is in secret (place-τώ κρυπτώ) and your Father who sees in secret (τώ κρυπτώ) will reward you openly. Our Father which art in the Heavens, hallowed be Thy Name. I have commanded you" (Mt. 28:19-20). This teaching duty is exercized by the Church in many ways, but, in my opinion, the most important is teaching how to pray. More over, not only teaching but also guiding and leading us in prayer. Reading the Gospels we see our Lord Jesus some times retiring himself to solitude to pray; other times would do so in group with his disciples; or, with them, joining the crowd in the Temple of Jerusalem or in the local synagogues, thus fulfilling what was prescribed in the Law. Therefore, the Holy Church, through the centuries, has maintained certain routine which is called liturgical life-or public prayer-at the same time that advices to each of its children to have a private and secret routine of prayer by them selves. Now, this private routine of prayer is inspired in the liturgical life o public one of the Christian Community. Before I continue ahead with my topic, allow me to make an elucidation, which I consider very pertinent in our current times. As Christians we are children of God, because of our brotherhood with Jesus Christ, who took our Humanity. Today in the Latin Church (that is, the Roman Catholic Church), as well as in the churches or groupings born of the Protestant Reformation of the Latin Church, there is the fashion to describe us, the Christians, as the People of God. This is a description inspired in the Old Testament more than in the New. Truly we are, as earthly and temporal whole, the People of God, the Nation of God, the New Israel. But, in singular and as individuals, we are children of God. 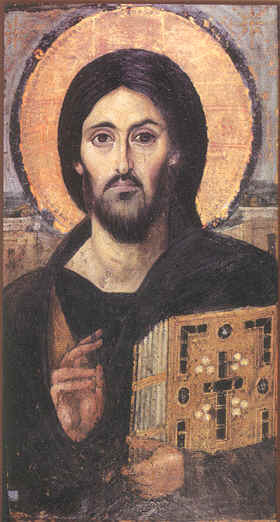 This is the reason for our Lord Jesus Christ to teach us to pray thus: "Our Father which art in the Heavens." Our divine sonship is consummated in the Eternal Life, after our death, and it is chosen, newly born, grown and builded by us, before our death, with the fulfilling the Commandments of God and together with the nourishment received from the holy Sacraments. This lifting of our mind and heart is expressed with words or thoughts. That is, it requires of us the action of speaking to or addressing God expressing our needs and desires, etc. However, this is not an egoistic action centred in us but, firstly, a glorification of God for His divine perfections; secondly, a thanksgiving to Him for His mercies, and, finally, a request to Him asking for what we need. So there are three important stages of prayer: Praise, Thanksgiving and Petition. Therefore, if we think a little about what we do in church, we shall find how wonderfully this pattern is practiced there. However, it is required activity on our part -not our passive listening. When we do something important we need to put into it action with due care and attention. It has to be said that in most of our offices, or church services, we do not put due care and attention. How often it happens that the priest begins with Ευλογητός-Blessed be our God- and we run with the rest of the introductory prayer in a hurry and with no attention at all…! These are very important prayers to be said not only by the psalter or singer but by every one, because they are for preparing us to enter into the presence of God. "Holy God, Holy Strong, Holy Immortal"
"have mercy on us" - "Kyrie eleison"
Saint John of Damascus say that this prayer was composed from two quotations from the Old Testament. It reminds us of the seraphic doxology in Isaiah (6:3-7) and the Psalm 41:2, "Εδίψησεν η ψυχή μου πρός σέ τόν Θεόν, τόν ισχυρόν, τόν ζώντα - My soul thirsted for God, the strong and living," reminding us the great Mystery of the Divine Liturgy. The first letter of Clement (from the end of I c. A.D., or very early II c.) says that we should assemble together with this prayer “in concord, with full consciousness of our duty” (paragraph 34). That is with all due care and attention of our mind in our heart. Slowly and surely we enter into the presence of our God, our Creator and Father, our Redeemer, our Judge, our Brother and Saviour, our Helper, Counsellor, Comforter and King. Now we are just one step to call with boldness and without condemnation upon the heavenly God as Father and say the prayer our Lord taught us. In our RECEPTION page, friendly Reader, you have these prayers. We begin always our prayer with them, being done liturgically or privately. In the liturgical one, at particular points, we interrupt the singing to repeat them. They form an inseparable whole, and towards the end of any Office we return to them. They have the methodical effect to make our attention to return to the presence of God, the Holy Trinity of the Father, of the Son and of the Holy Spirit. The due care and attention of our mind in our heart receives and admits the presence of the Holy trinity in our hearts. And thus we are empowered for entering in the magnificence and, at the same time, intimate celebration of the Offices in our Church. Allow me to finish with this note, which may appear as an indictment of my hierarchical superiors. The Bishops, Priests and Teachers of our Christian Faith have not only the duty to teach these prayers but, also, the duty to guide our people in how to pray them with due care and attention. 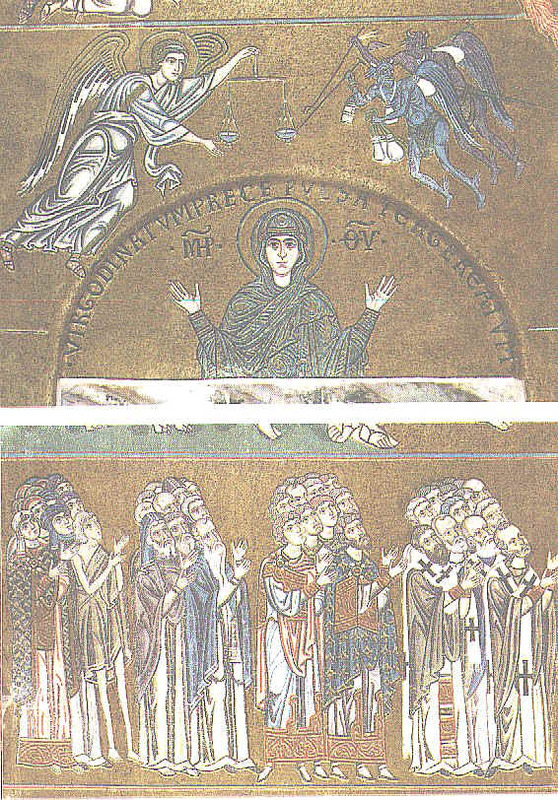 I have to confess that it is a very sad fact that our Psalters-and our selves, the priests and deacons, also-run over them with such emptiness of heart and attention that it would be better if they omitted them all together. At least, then, we would not give to our Holy God that offence. I have no doubt that our Judge, Jesus Christ, in the Day of Judgement, shall demand of the Bishops and us, the Priests, not only how we have prayed them but also how we have allowed our Christians to mispray them, through rushing them and having given them little attentive devotion. They should be said by all the people together with one voice and not by a lone voice. 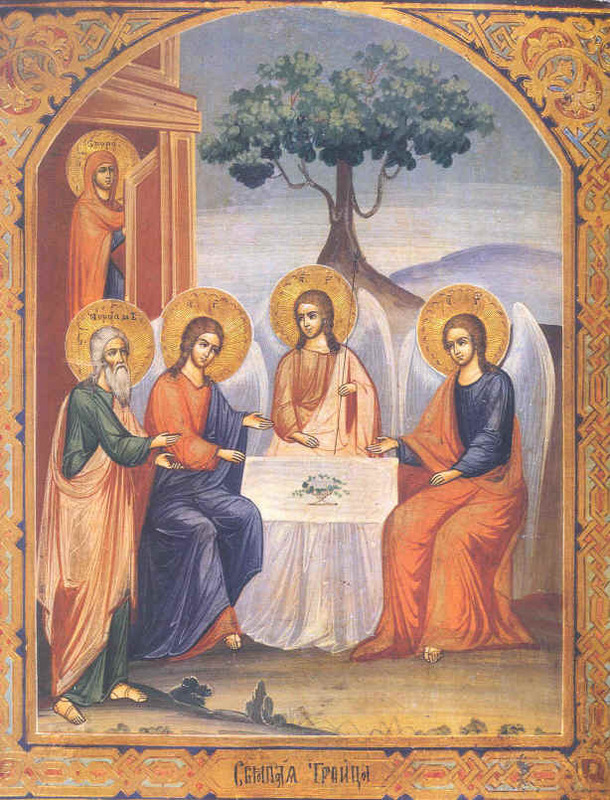 The Holy Trinity, also known as the Hospitality of Abraham, late XIX c. Painted probaby in Mstjora village near Vladimir, now in Valamo Monastery, Finland. © Conciliar Press, 2003 (with permission).